Late August and early September can be a great time to squeeze in a little more summer fun, especially for seniors. In regions where temperatures start to cool in late August or early September, it’s a safer, more comfortable time for seniors to enjoy outdoor recreation and travel. Day trips to local attractions, such as a farmer’s market, flea market, park, zoo or botanical gardens. Travel can be easier and more comfortable with a CarCaddie, Rollator or cane, and other daily living and mobility tools. Swimming. 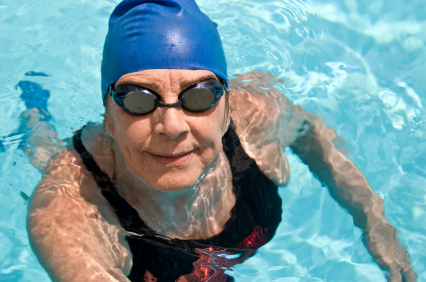 Because the elderly are more prone to heat stress, it can be a safer time to enjoy the sun and water. For seniors managing incontinence, the SoSecure swim brief protects against urinary and bowel incontinence but can be discreetly worn under swimwear. Volunteering can be rewarding and raise a senior’s self-esteem. Teaching a skill or reading at a senior center, helping to beautify parks or neighborhoods, spending time with adoptable pets at a humane society, or visiting others at a hospital or nursing home all are ways to get involved. Apple picking, depending on the region, can start in late August or September and run through late October. Some places have stores, cafes and rest areas for those who prefer eating treats over harvesting. other weekend getaway ideas, and many offer discounted rates after Labor Day.